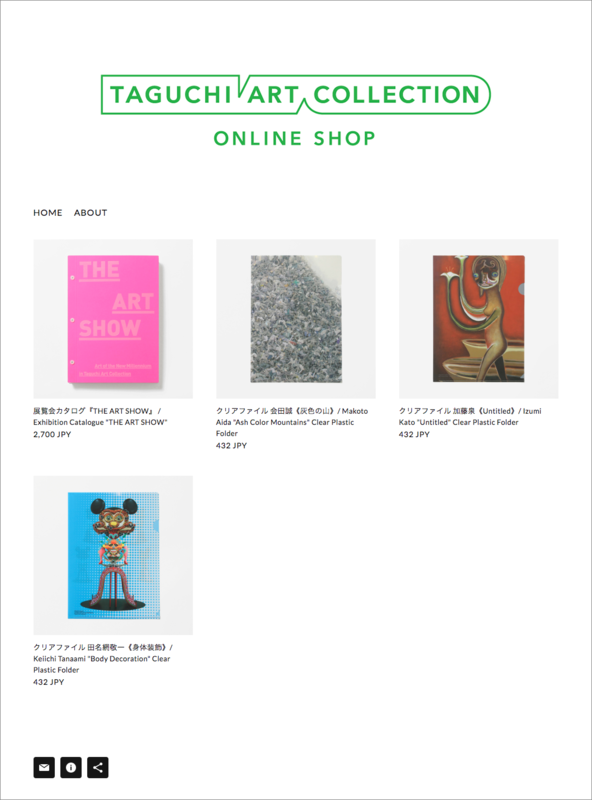 Taguchi Art Collection Official Online Shop launched! The exhibition catalogue “THE ART SHOW” at The Museum of Modern Art Gunma, and clear folders are now available for purchase. New items will be added as they become available. For overseas customers, we accept international shipping and payment by credit card and PayPal. You can browse our shop via SHOP menu or link below.